International digital crime experts arrived in Cardiff last week for a conference encouraging collaboration in the fight against International Digital Crime. The IP Wales Cluster meeting, which took place at the University of South Wales brought together global specialists from across the digital crime investigation and enforcement industry. The event featured intellectual property crime experts sharing their knowledge and experiences in a bid to tackle the growing threat from software theft and piracy. Zhenhao has served at the Shanghai Second Intermediate People’s Court. He later moved to Beijing where he was legal counsel for the Business Software Alliance Beijing Office, as well as Microsoft (China) Ltd Legal & Corporate Affairs, specialised in Civil Litigation and Intellectual Property Law. In his role as Partner at Hanyuan & Partners, he leads the Software Anti-Piracy and Licence Compliance initiative for their clients in the China, Asia/Pacific region and is the partner firm to local law firm CJCH Solicitors. Zhenhao will be speaking on the topic of combatting IP infringements in China and China/UK collaborations. Michael is widely recognized as an expert on International digital crime investigations especially related to organized crime engagement in illicit trade, including IP theft. He has written and presented extensively on the subject and now acts as an International Advisor on Criminal Trade methods, where he helps initiatives to raise awareness to the influences brought by the involvement of organized crime. With a focus on training and capacity building he is the Chairman of the International IP Crime Investigators College, a learning platform that provides blended learning to over 12,000 students globally. 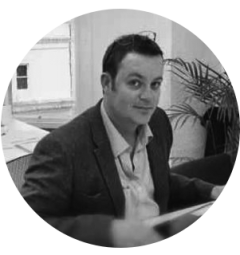 Luke has a management consultancy background in global systems implementation, having previously been a specialist strategy consultant with Accenture. He now focuses extensive time to research as a PhD candidate, undertaking a doctorate in law specialising in software piracy and IP cyber crime. Luke is sponsored by CJCH Solicitors, where he also leads various teams as head of operations for the firm, as well as providing specialist consulting insight under the firm’s consulting division. With cyber crime and intellectual property infringement becoming more sophisticated and posing a growing threat on the global stage, it is now more imperative than ever that we combine our expertise to help tackle this crime. Despite popular belief, cyber and software crime does not simply affect major corporations and businesses globally, it affects ordinary people across all cross sections of society and can have devastating consequences.